With E3 right around the corner, we’re surely to get a few surprises in the game industry. But as of right now there’s quite a lot to look forward to in the coming months. Not only are we getting a new generation of consoles near the end of the year, we’re also getting some great releases to send this generation off with a bang. We’re only 4 months into 2013 and we’ve already seen some great contributions. Games like Bioshock Infinite andTomb Raider have set the bar high. Below is a list of 10 games that are confirmed or expected to be released by the end of the year. You should be really excited for them, like, really excited. 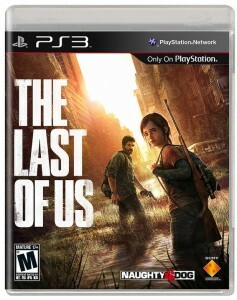 Those familiar with The Last of Us developer Naughty Dog only need hear the name to get excited. Ever since last year’s E3 gameplay demonstration, I’ve been feverishly waiting for the next bit of info on this game. This is my number one game I’m excited for in 2013. If you’ve ever wanted to traverse across a beautiful post-apocalyptic America while being hunted by bandits and weird fungal zombies, this is your game. 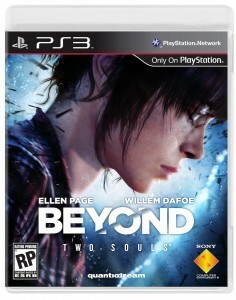 Beyond: Two Souls is being helmed by Heavy Rain developer Quantic Dream. Besides potentially being one of the most graphically impressive games on any home console, you can surely come to expect things like: multiple endings, dark themes, thriller vibes, and a deep and cinematic story. Players will take the main character, Jodie through different times in her life in an attempt to understand Aiden, the ghost-like entity that has been with her since her birth. All this is done in an effort to understand what happens to us after we die. Did I mention this game was dark? Oh, and Jodie is modeled after actress Ellen Page who is also voicing the character.